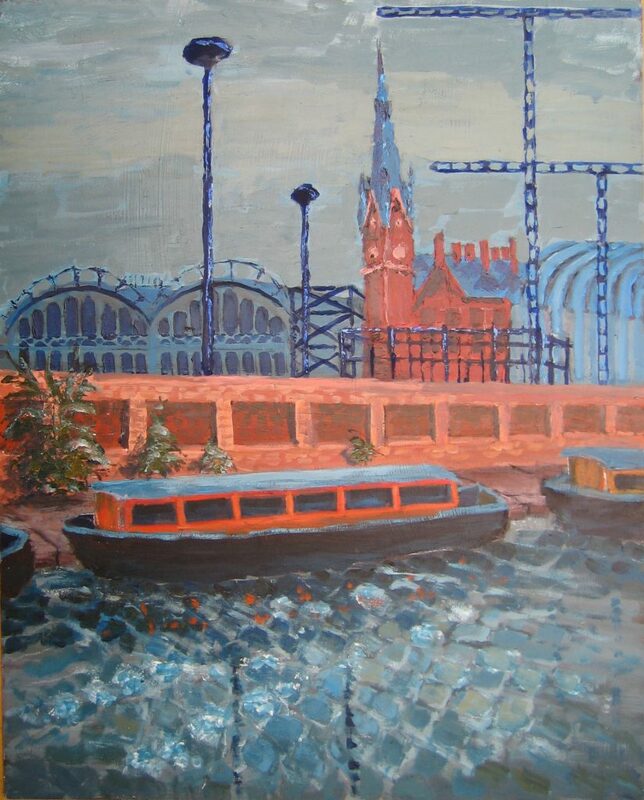 I am fascinated by St Pancras station and should revisit it soon. 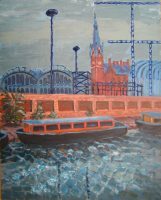 The first two prints were made in 2016; the print of the gateway and the view from Midland Road in 2012. 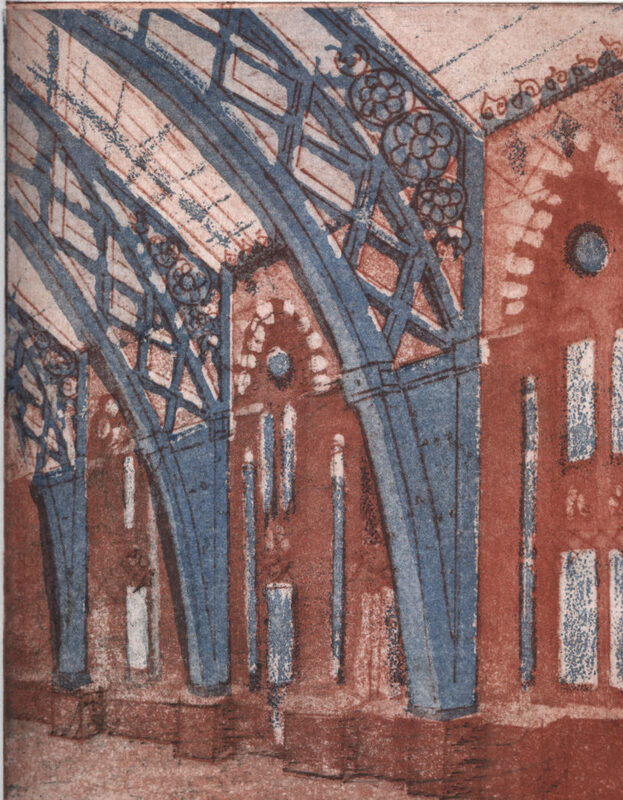 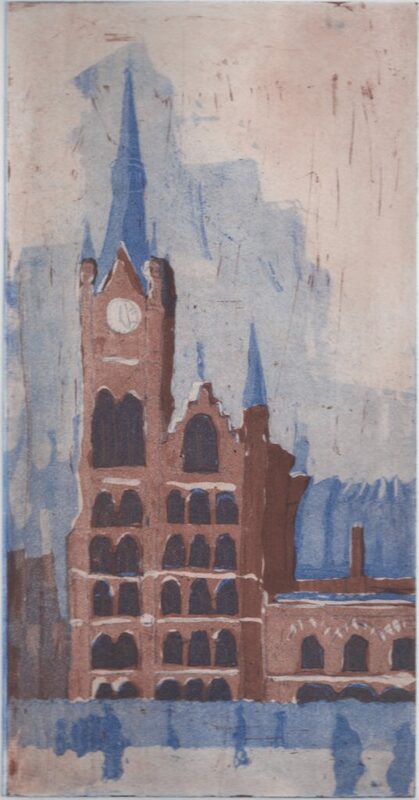 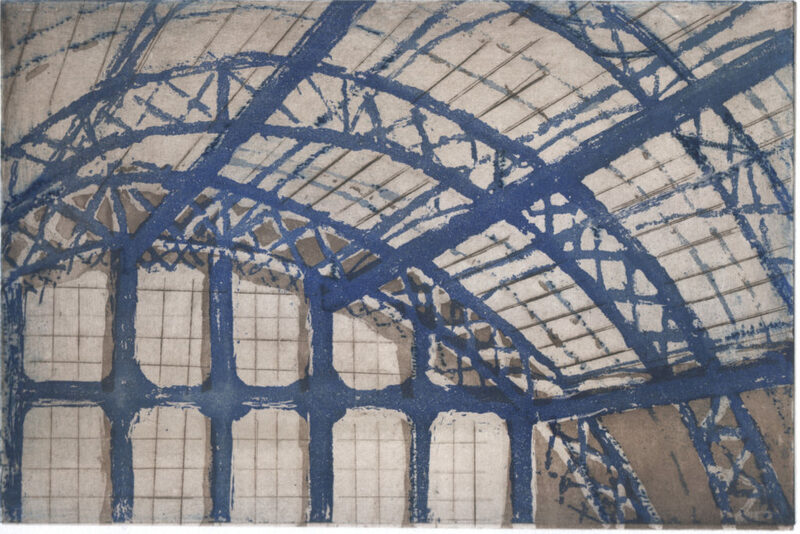 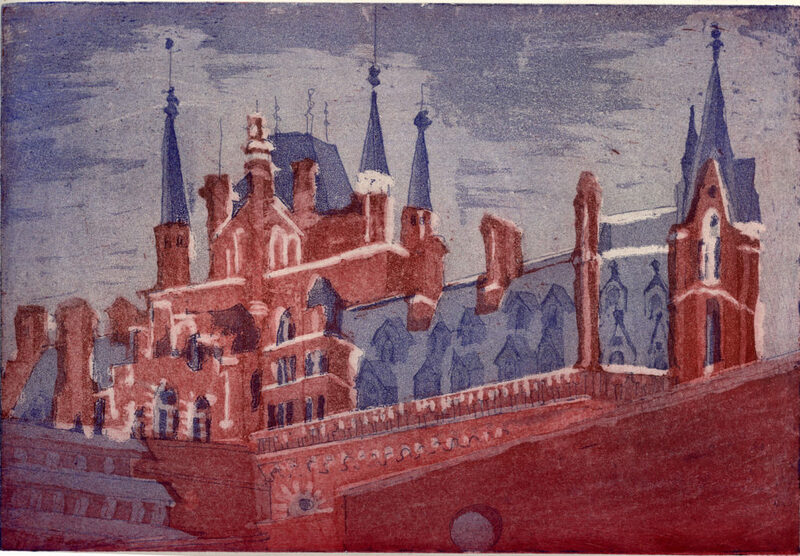 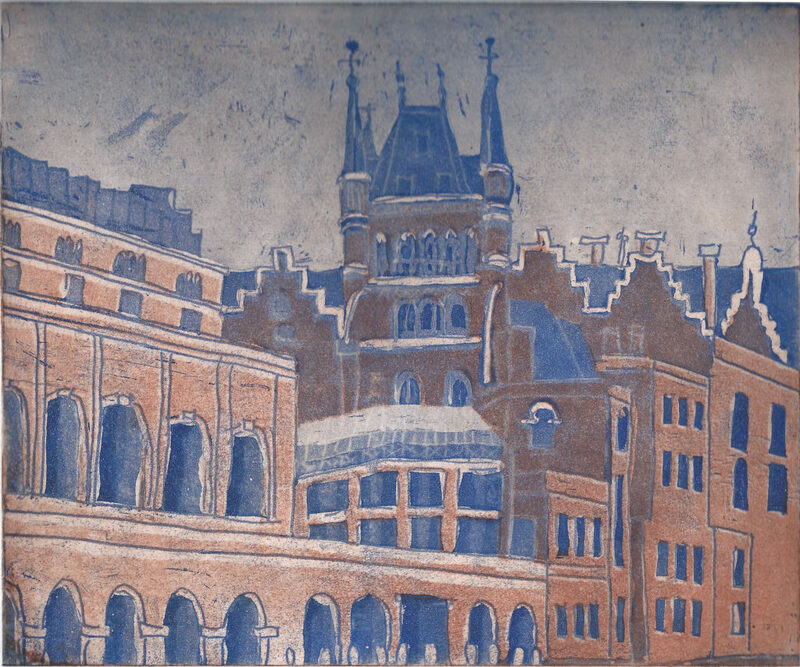 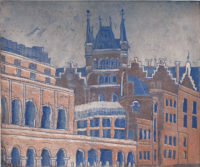 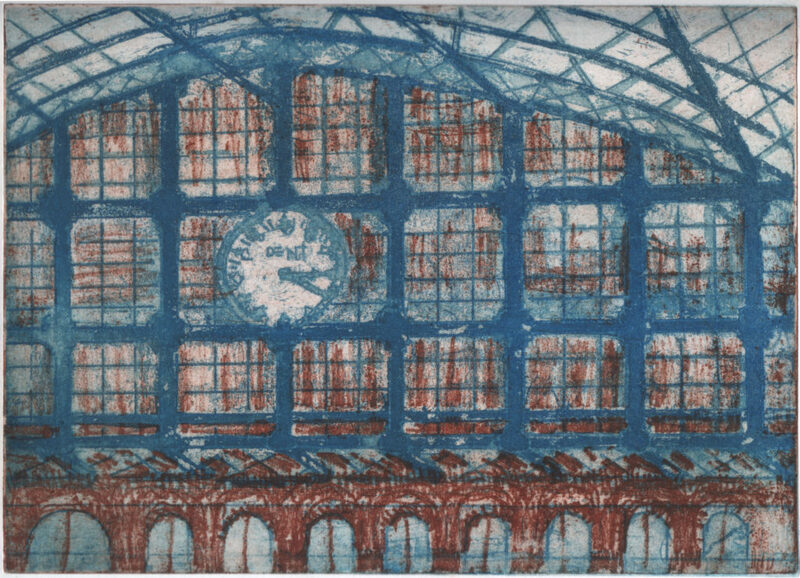 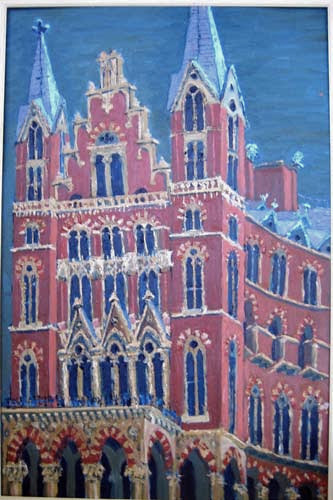 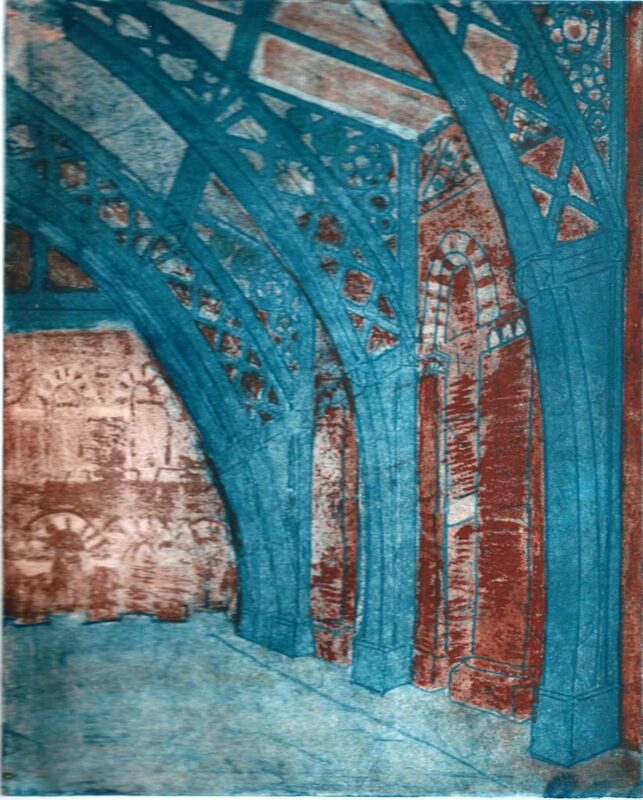 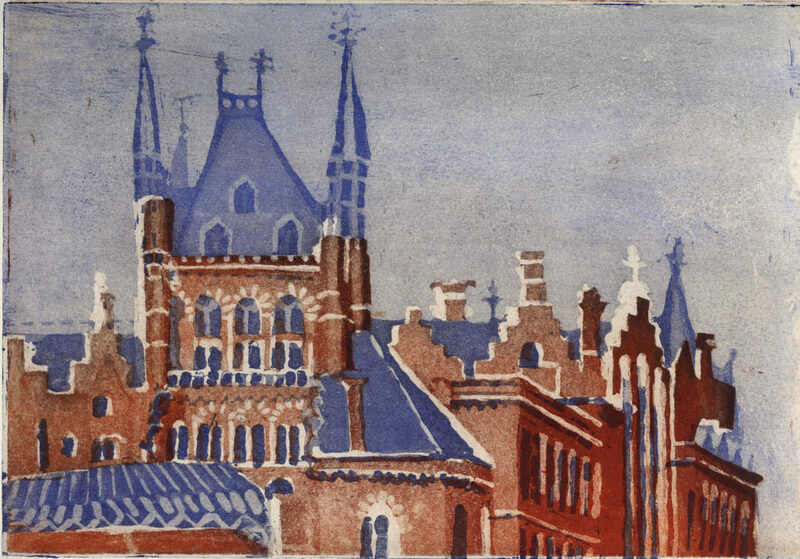 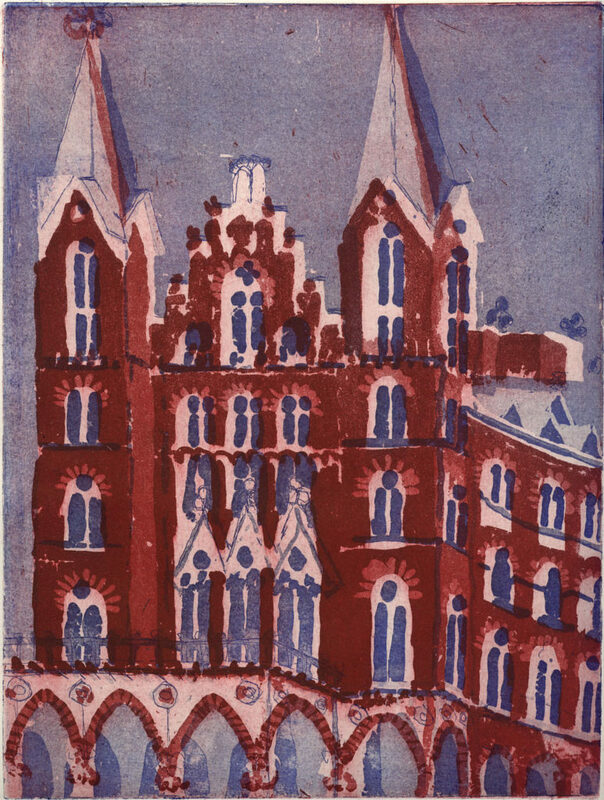 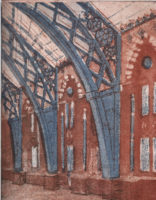 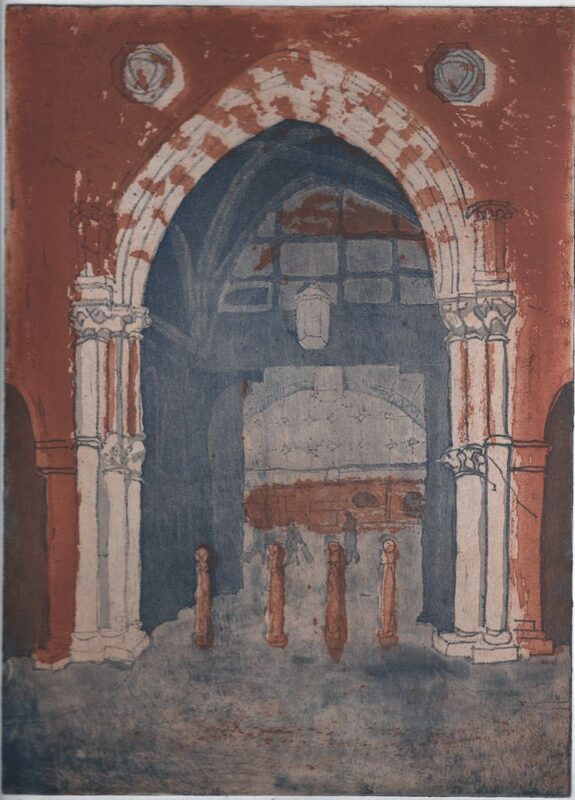 The three interior prints were made soon after the building was renovated to become St Pancras International. 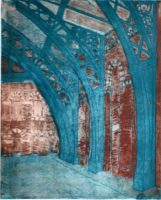 I made the other three prints and the two paintings much earlier. 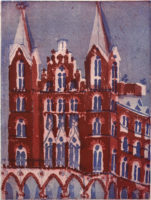 Each of the prints is made from two plates inked up in different colours.